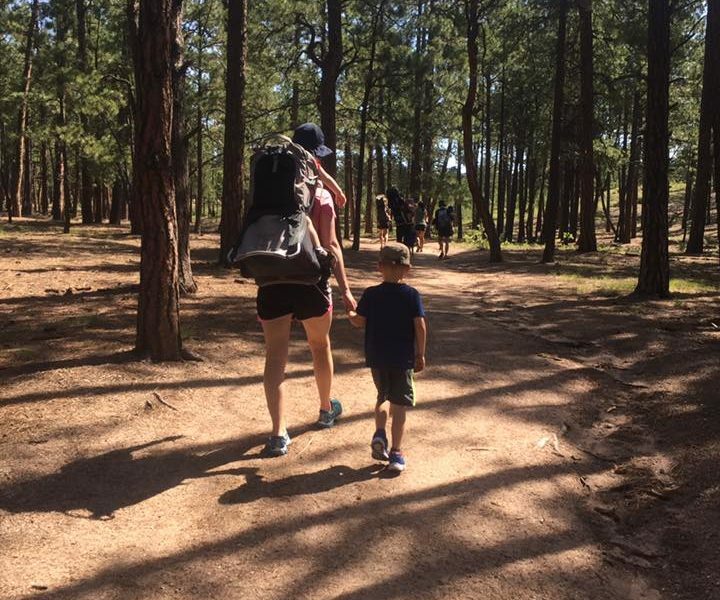 This 1.5 loop trail is mostly shaded and great for toddlers to explore in the forest. You will hike along the trees with slight elevation gain. 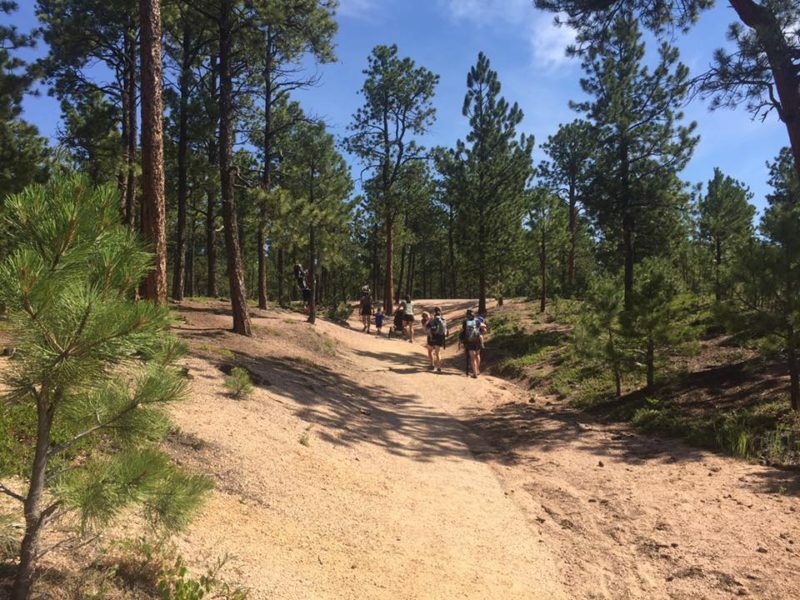 There are connecting trails within the area that you can take to make your hike longer if doing a carrier hike. 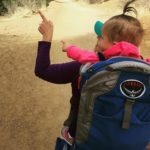 It is all-terrain stroller friendly if the trail isn’t muddy and is free of snow. Dogs are allowed, but must be leashed. It is not wheelchair friendly. There are wildflowers to see during the summer months, and is best to hike during the summer and fall months. At the parking lot there is a seasonal restroom. Please note that the trailhead parking lot is not found near the main entrance of Fox Run Regional Park. It is a separate parking lot located off of Roller Coaster Road.